Even if you are a fan of Ernest Hemingway, do yourself a favor and skip the tourist traps of La Bodeguita del Medio and La Flordita in Havana. Who needs a resort when you can stay at a casa particular in Cuba? 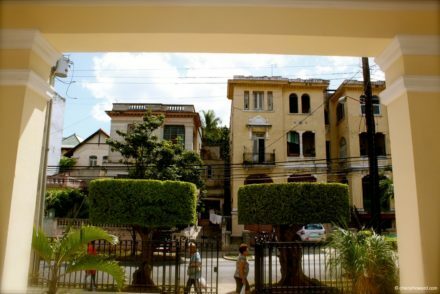 Not only is it cheap, you’ll have an authentic Cuban experience. Get Your Fill of Art and Rumba Music at Callejón de Hamel. Experience Afro Cuban culture by browsing art installations and taking in a rumba performance in Callejón de Hamel in Havana, Cuba. A More Modern Havana – Plaza de la Revolución. While many things in Havana and Cuba in general are old, there are touches of modernity like the Plaza de la Revolución. I Left My Heart In Plaza De San Francisco. Plaza De San Francisco in Cuba’s Old Havana is one of the city’s most beautiful sites. It’s hard not to fall in love and … leave your heart there. Getting Lost in the Streets of Old Havana. When you’re traveling, sometimes putting your map and guidebook away can be a good thing. 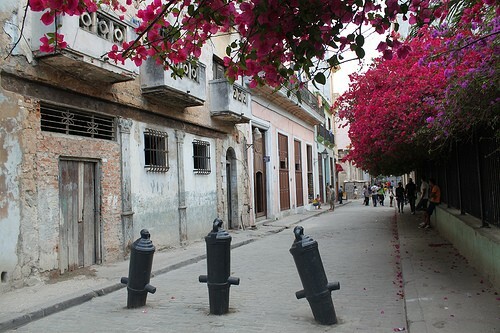 Explore and “get lost” and come across unexpected sites like this lovely residential street in Old Havana, Cuba. Be inspired like poets of the past and walk along El Malecón in Havana, Cuba. Observe the colonial architecture, mix with locals and watch the sunset over the Atlantic.